Maybe the most exciting and yet the simplest of games! 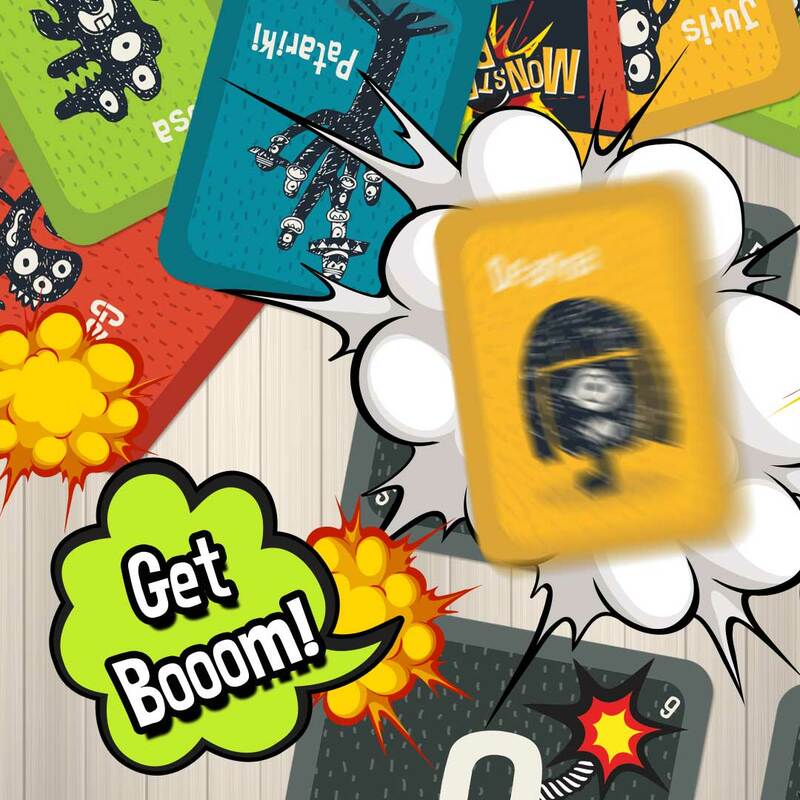 Ideal for all ages, kids, adults or seniors, everyone can have fun with the Monsters Boom Card Game. The game of tic-tac-toe dates back to the Ancient Egyptian times of around 1300 and it still today a favourite pastime for many. It is easy, simple, and above all else, it is a fun game to play without having undergone any major changes. For children, it is the perfect pedagogical tool and helps to teach practices that relate to good sportsmanship. We have rejuvenated this classic and reinvented this symbolic game and created Monsters Boom! 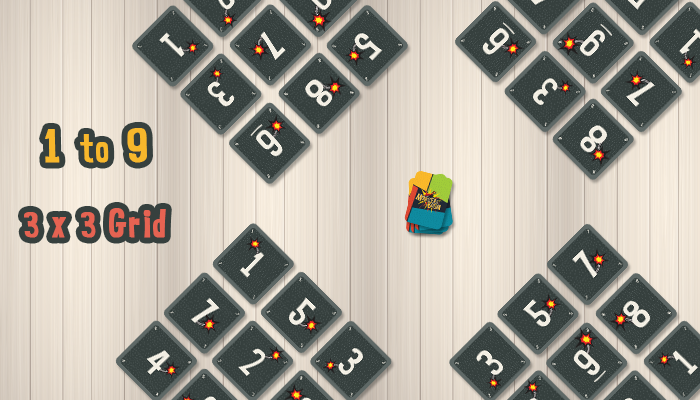 Monsters Boom is an easy game to pick-up, even if you have never played tic-tac-toe in the past. 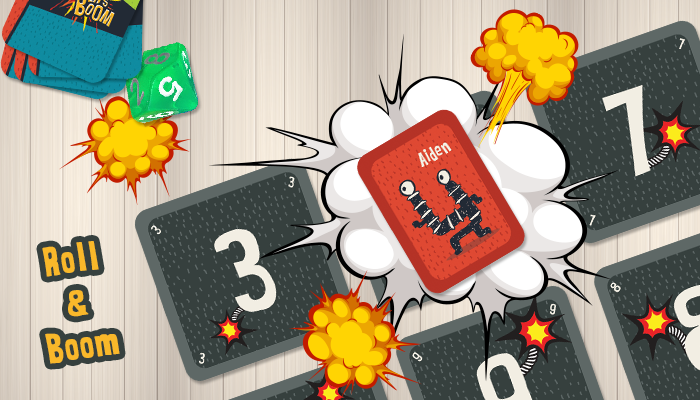 The game is for between 2-4 players and takes around 10 minutes to complete. 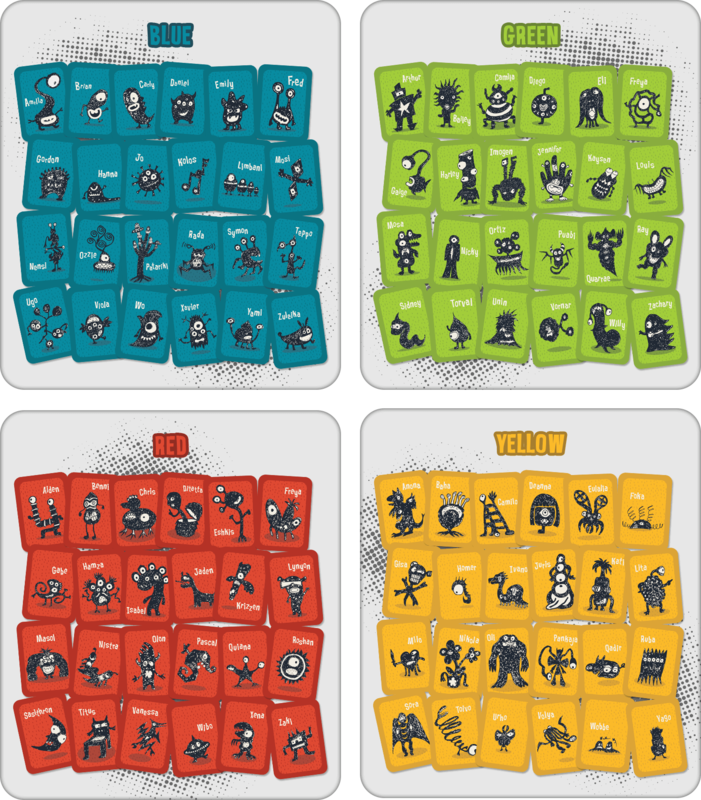 There are 36 number grid cards and 96 monster cards that are grouped into 4 colour groups (4 species). 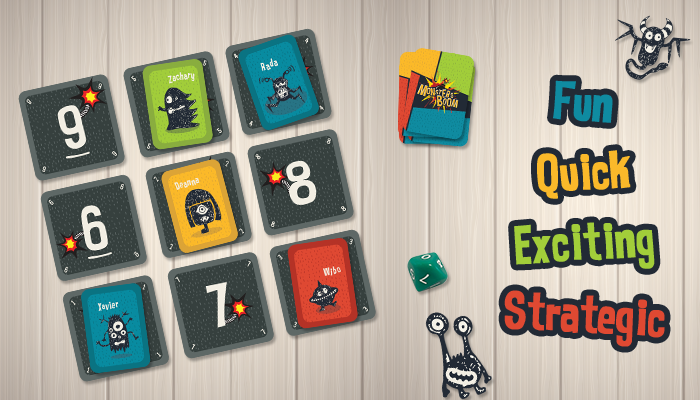 Monsters Boom is a monster growing and more engaging version of tic-tac-toe; it is quick, exciting, more strategic. What’s more than this, it is colourful, and it adds more fun for you kids with the 96 different monsters we have created. 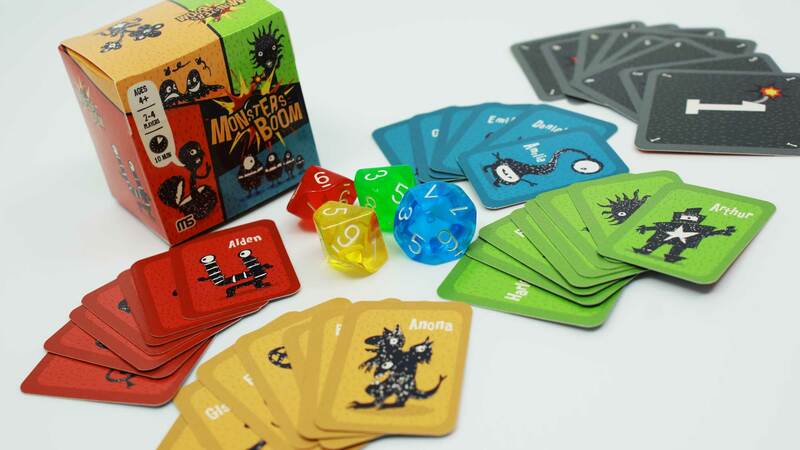 Monsters Boom is the perfect family game to have at home as it suits all ages. It is very easy to understand how to play, and it can be enjoyed by all with ease. This game will allow young children to learn how to develop an overall game strategy and also use and apply basic logic from a young age. It helps them to prepare for more complicated games because they have to consider a multitude of things at the same time. 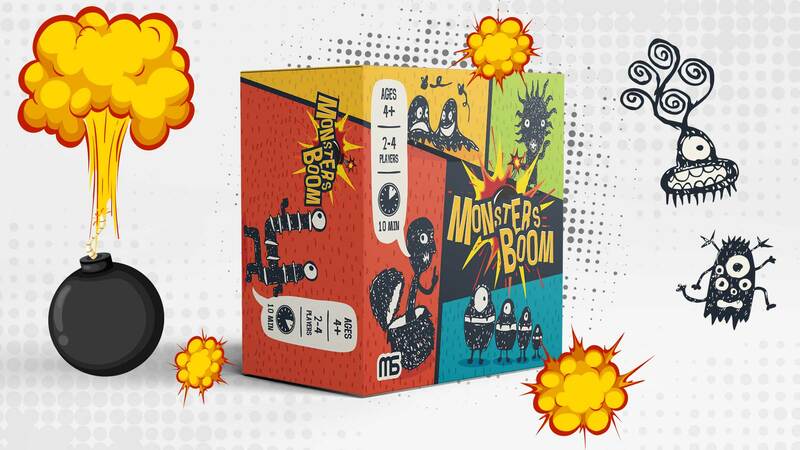 Monsters Boom can also help with the development of fine motor skills, coordination and visual adaptiveness in children too. It can enhance and sharpen the mind while helping players of all ages to keep their minds sharp. Try this for more fun! 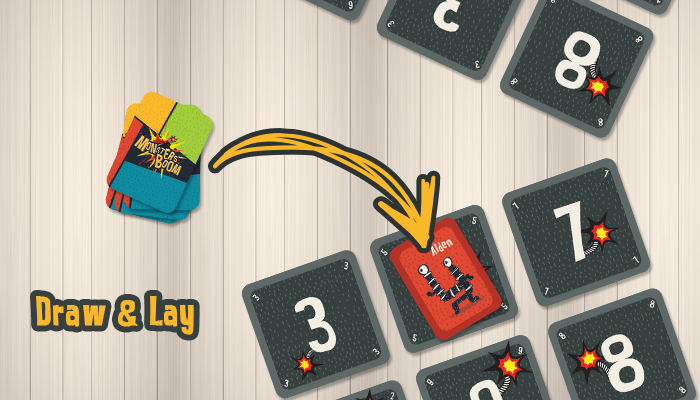 Instead of laying the monster card to your grid to get 3 in a row, you can also use your turn to block any player from winning by laying the card onto one of their cards on the grid. Another variant you can use with this game is instead of putting the number card 3x3 in normal ascending order; you can randomly lay them to form the grid. This will make every game, and every turn more exciting and different.